Style and serenity await you in this stately Eagle Creek home. 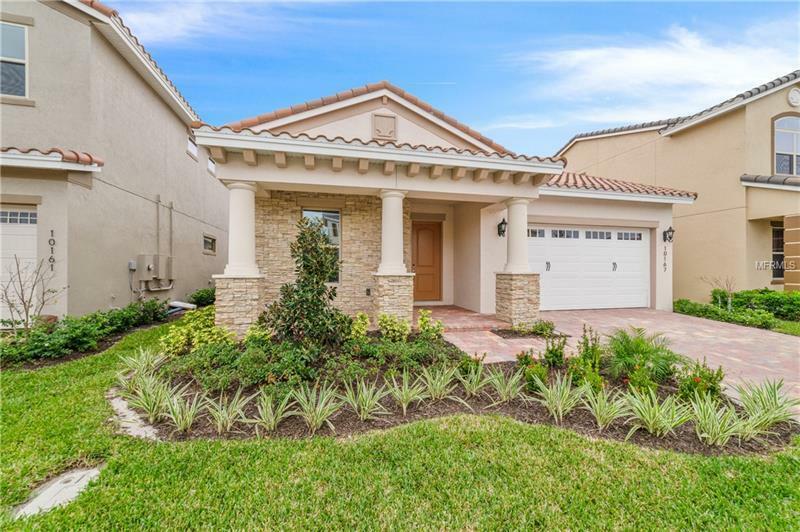 This beautiful single family home is located near Medical City, in a wonderful community that has golf courses, tennis courts, swimming pools and close to OIA and Attractions! This home was completed in August of 2018 and never lived in. This residence has many upgrades including a gourmet kitchen with state-of-the-art Stainless Steel Appliances, granite countertops in kitchen and baths, and tile flooring in all living areas. An extended patio has a lake view. The home comes with a 1-year warranty. Copyright © 2019 Mid Florida MLS. All rights reserved. The data relating to real estate for sale on this web site comes in part from the Internet Data Exchange Program of Mid Florida MLS. Information provided is for consumer's personal, non-commercial use and may not be used for any purpose other than to identify prospective properties consumers may be interested in purchasing. AmeriTeam Realty participates in the MFRMLS Internet Data Exchange (IDX) program, allowing display of other MFRMLS broker's listings on this site. However may not include all listings currently available. Information is deemed reliable but not guaranteed. Information last updated at 2019-04-24 21:30:23.